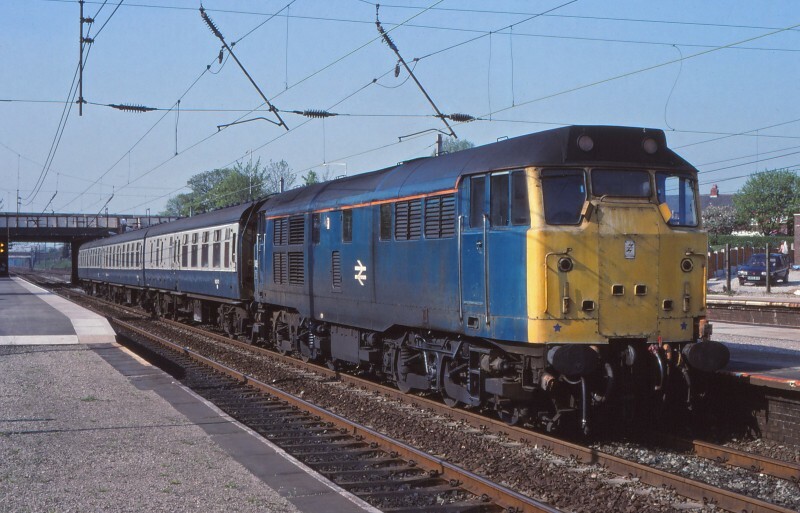 Martyn Hilbert's Railway Photography - BR Blues - Class 31, 31469 at Leyland. Class 31, 31469 at Leyland. Class 31 31469 stands on the Up Slow at Leyland station with three Mark 1 coaches forming the 16.20 Preston to Liverpool Lime Street service on May 1st 1990.